To celebrate the release of Update 9.22 and the new range of vehicles available in the tech tree, you will be able to trade in your old premium tanks while buying a new one, to get it at a reduced price! This special is available from 7 February at 06:00 CET to 21 February at 06:00 CET (UTC+1). 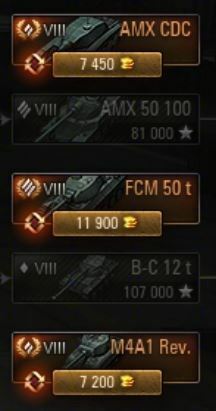 Please keep in mind that the FCM 50 t has been removed from the tech tree with the release of Update 9.22. The general rule is as follows: you can trade-in any premium tank of Tier VI-VIII when buying a new premium tank available in the tech tree, which is of the same or higher tier as your old vehicle. It is possible to trade-in only one vehicle at a time. 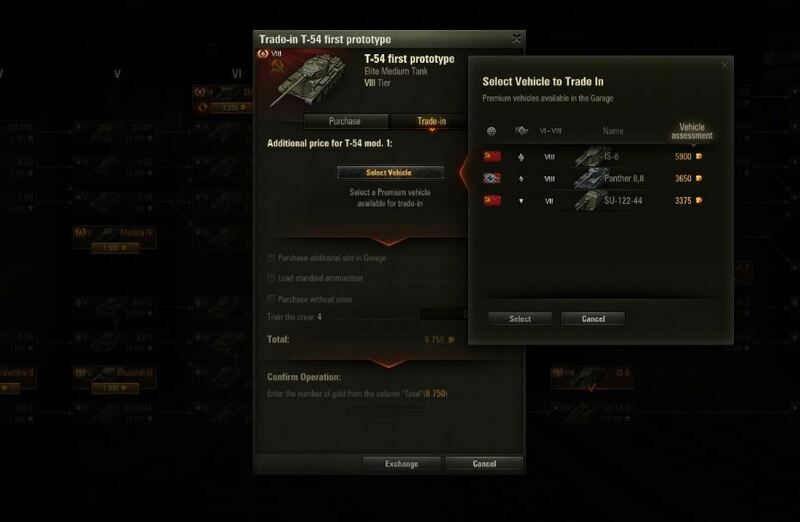 When trading in, half of your old tank's value in gold will be reduced from the price of the vehicle you're attempting to buy. In this example, trading in your Dicker Max will yield you half of its price, which is 1,600. Consequently, your new vehicle's price will be reduced accordingly and you now need 10,900 for the Löwe. The tank can be exchanged. There is enough gold. The tank can be exchanged. There is not enough gold. Once you have decided, simply right-click on the vehicle and choose Purchase or Trade-in. 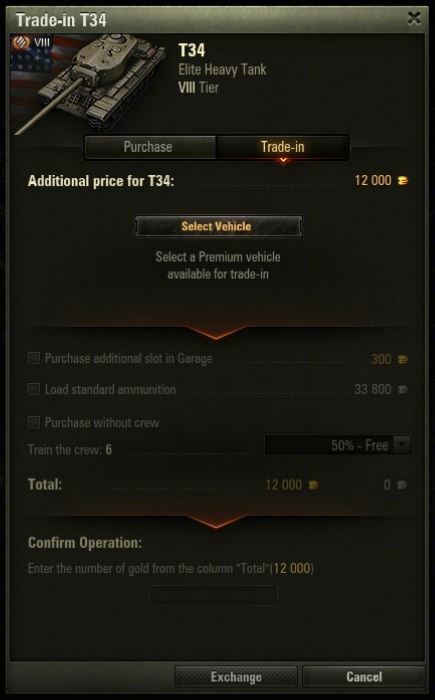 By default, the list of tanks eligible for trade-in is arranged by the amount of gold they would deduct from the price. The list also features eligible vehicles that are currently unavailable for the exchange (in battle, not repaired, in a platoon). Clicking on them will reveal more info about their status. 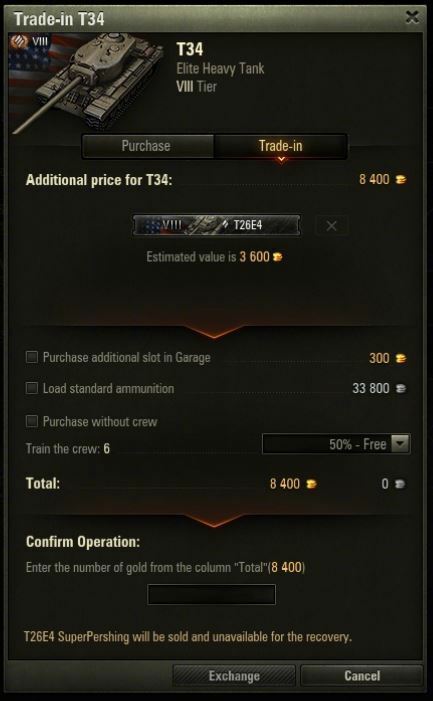 The trade-in menu also offers the usual actions, such as adding basic ammunition, crew training, etc.